A cute little skin care gift set that helps to lift, firm and smooth the skin. 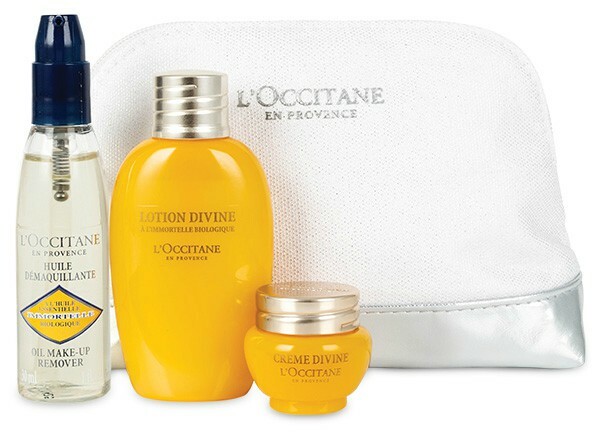 It includes 50ml Divine Lotion, 30ml Immortelle Oil Make-up Remover , 4ml Divine Cream Plus the Cosmetic Bag. How adorable is this! I find Lavender scented things are such a good gift as Lavender is perfect for relaxing. If your mum isn't too keen on Lavender this set also comes in Cherry and Verbena (Fruity Lemon Scent). 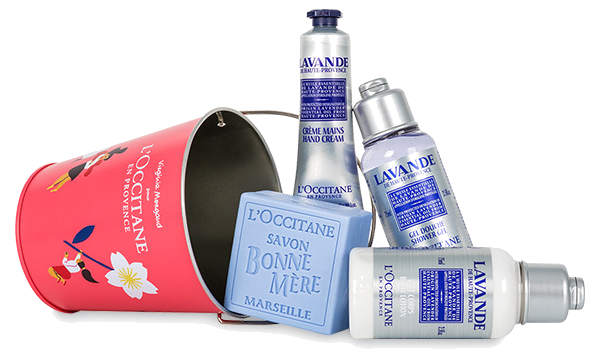 The set includes 75ml Lavender Shower Gel, 75ml Lavender Body Lotion, 100g Bonne Mere Lavender Soap, 30ml Lavender Hand Cream and the petite tin bucket. Nothing is better than a personalised gift. These butters are adorable. You pick what colour you want the packaging, all 3 can be different colours. You then pick a message from the list to go on the top of the butters then you can type your own message to go on the bottom. It is such a cute gift. 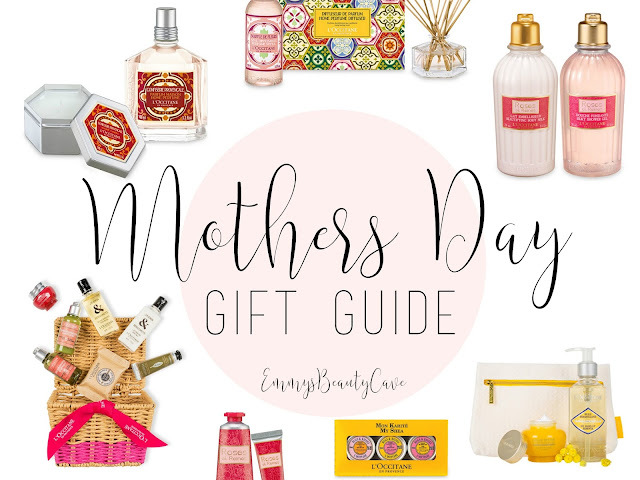 This basket is perfect for Mothers Day and it includes so many products! 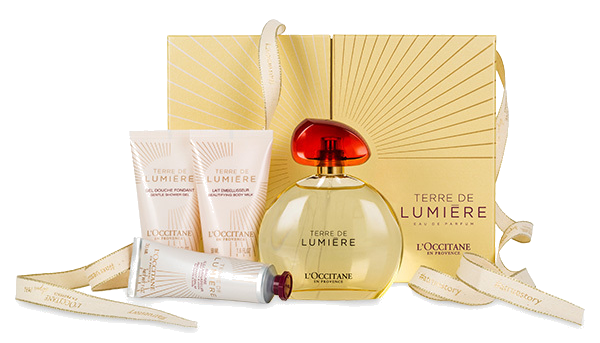 It includes 12 products with different scents including Cherry, Rose, Verbena and Pivoine. You get a mixture of Hand Creams, Shower Gels and eau de toilette's plus the box as you see above. This set is for all the beauty lovers out there. 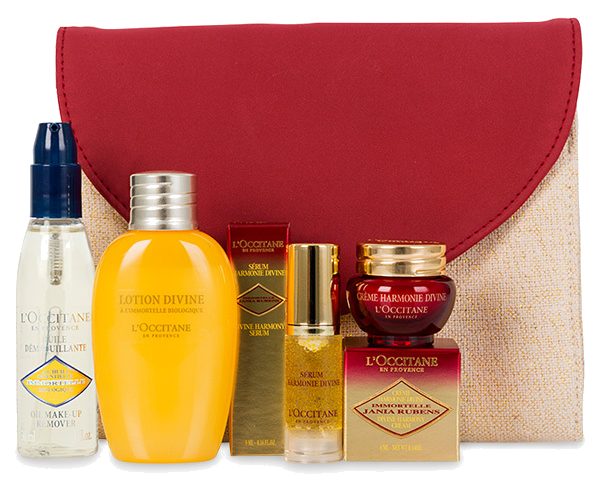 It includes 50ml Divine Lotion, 30ml Immortelle Oil Make-up Remover, 4ml Divine Harmony Serum, 4ml Divine Harmony Cream and the Cosmetic Bag. This set is one I know my mum would absolutely love. 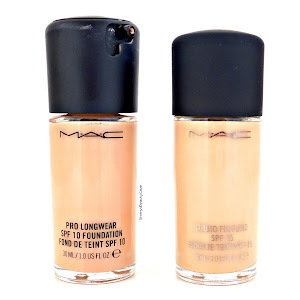 It helps to reduce visible signs of ageing and leave skin firm, smooth and radiant. 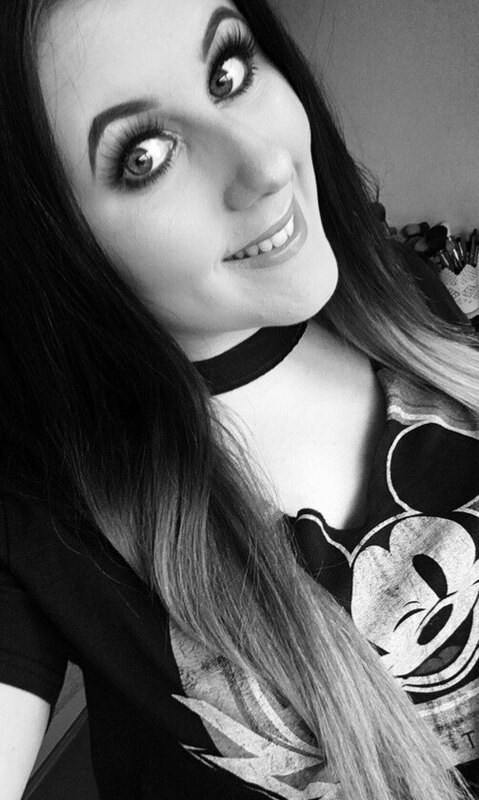 How stunning is this set! It includes 90ml Terre de Lumière Eau de Parfum, 50ml Terre de Lumière Gentle Shower Gel, 50ml Terre de Lumière Beautifying Body Lotion, 30ml Terre de Lumière Radiant Balm plus the gorgeous gift box.